Shingles - Six Snippets everyone should know. A small nuisance to a major health problem. Shingles is a blistering rash that affects a single area of the body and is caused by reactivation of the chickenpox virus. After causing chickenpox, the varicella virus lies dormant in the dorsal root ganglia at the back of the spinal cord. Re-activation of the virus occurs at one or two levels of the spinal cord and can occur many decades later. The virus spreads up the nervous system from that level in the spinal chord to the skin. 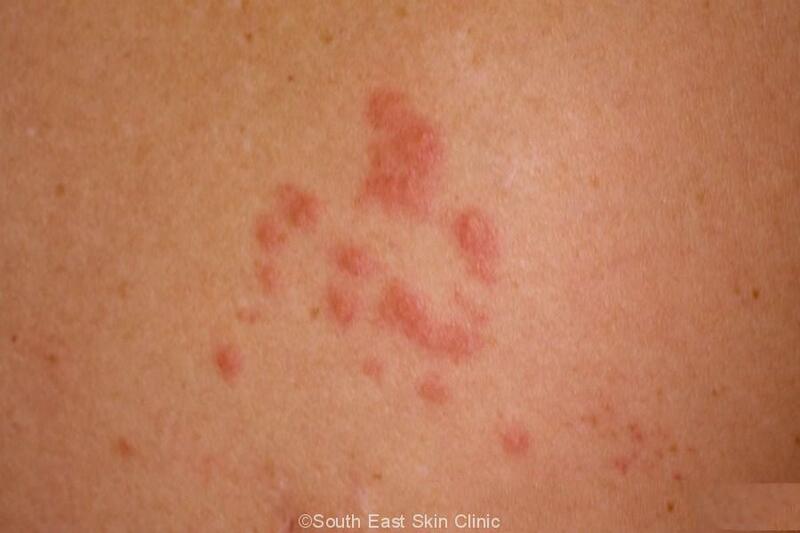 The rash is therefore found on one or two segments of the skin, these segments being called dermatomes. The distribution of the rash is easiest to describe on the chest where the rash will go horizontally across the chest wall – at one level, and on one side. 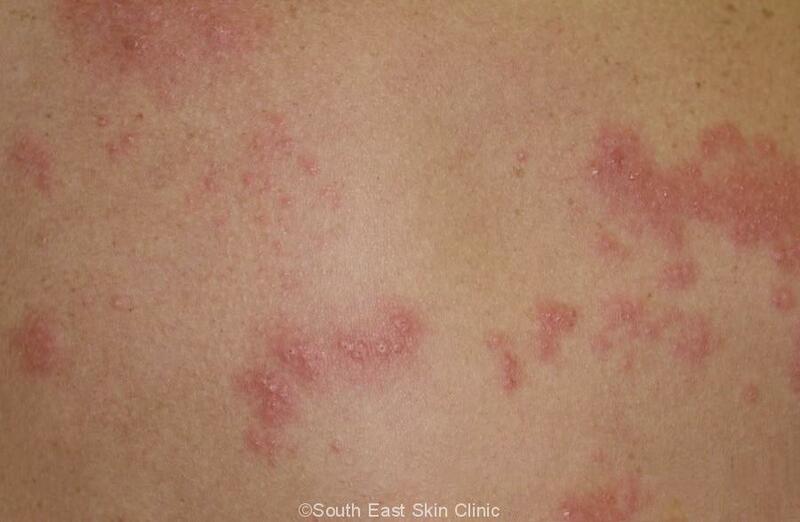 The rash of acute shingles is often itchy. The pain of acute shingles may may be described as burning, stabbing, or itchy. People often feel tired – called malaise – and may experienced headaches. Persistent pain, called postherpetic neuralgia (PHP), is the main issue with shingles. The pain may be burning or tingling, and the skin may be very sensitive – or painful – to even light touch. There may be reduced sensation to touch or frank numbness. What strikes doctors who see people with shingles is just how much it can knock people about. 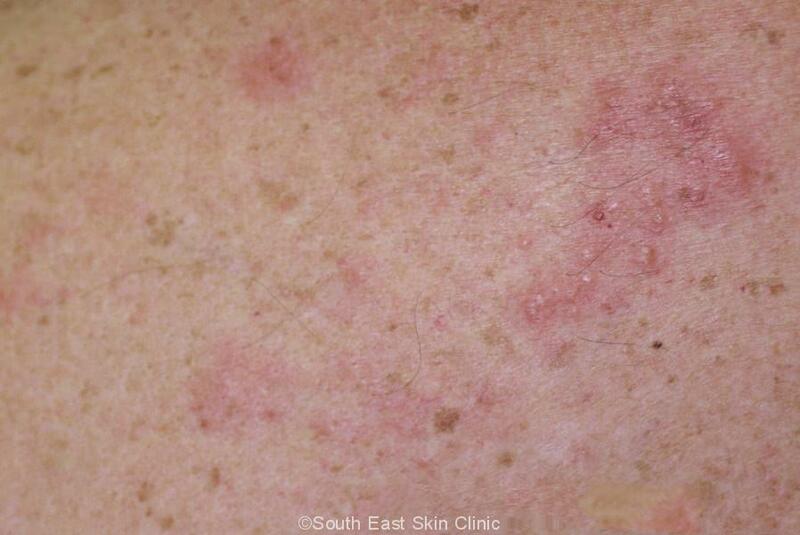 The rash occurs in a segment of the body on either the left or right side but not both, and does not cross the midline. 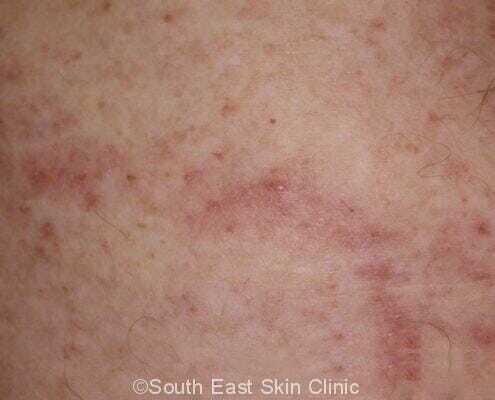 The rash is made up of individual lesions that may number just a few to over a hundred. 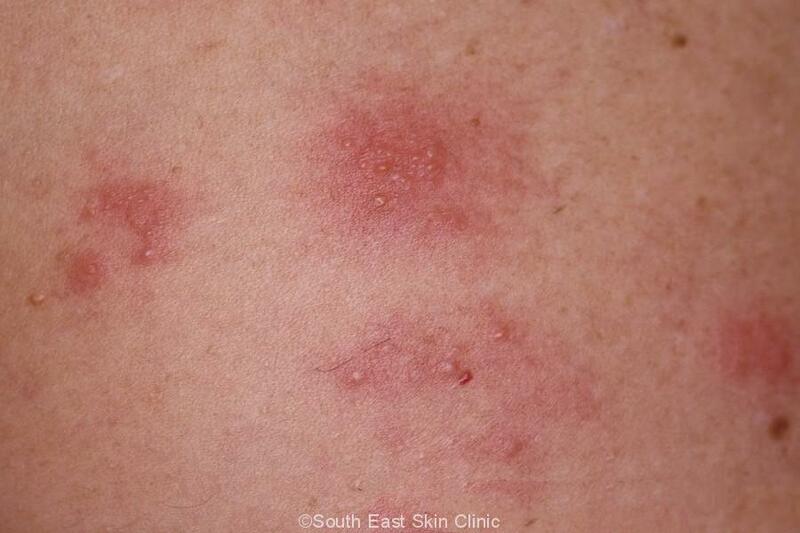 Just as with chickenpox, each lesion evolves through 4 stages: red spot, blister, pustule, and finally crusting. The rash starts to settle down after around 2 weeks and goes by around 3-4 weeks. 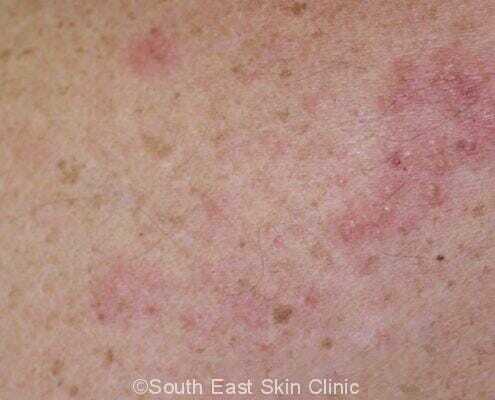 Skin HSV (cold sores) may appear similar to shingles. A viral swab will confirm which it is. 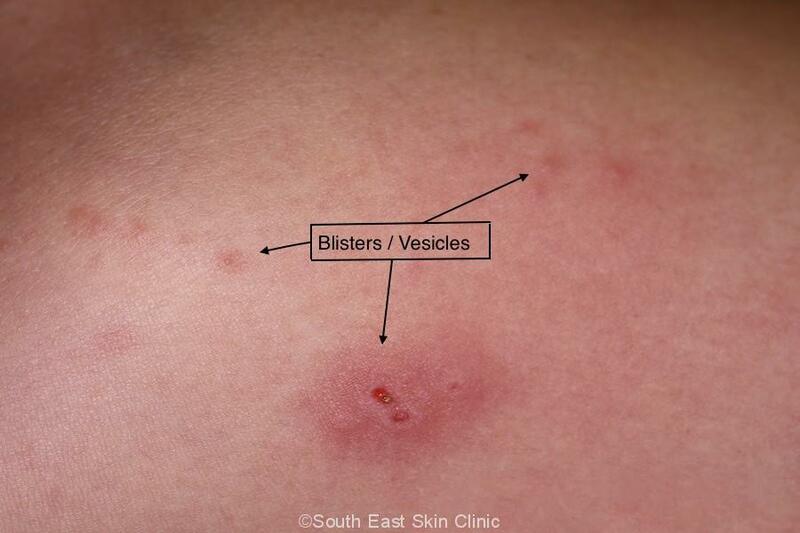 The virus is found on the lesions, particularly in the early stages when there are blisters. Remember that shingles is reactivated from past chickenpox, so you can’t pass on shingles from shingles. But shingles can spread chickenpox. Kids are these days vaccinated against chickenpox (the vaccination is around 98% effective). 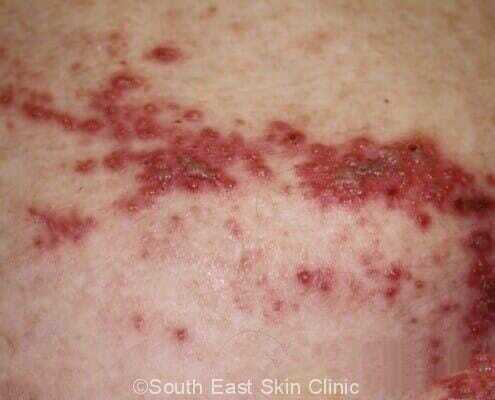 Chickenpox is usually caught via respiratory droplets whilst shingles requires some form of contact from the skin. Nevertheless, you should take precautions and be careful to wash your hands after touching the infected skin. Lesions that have completely crusted-over should not be contagious. 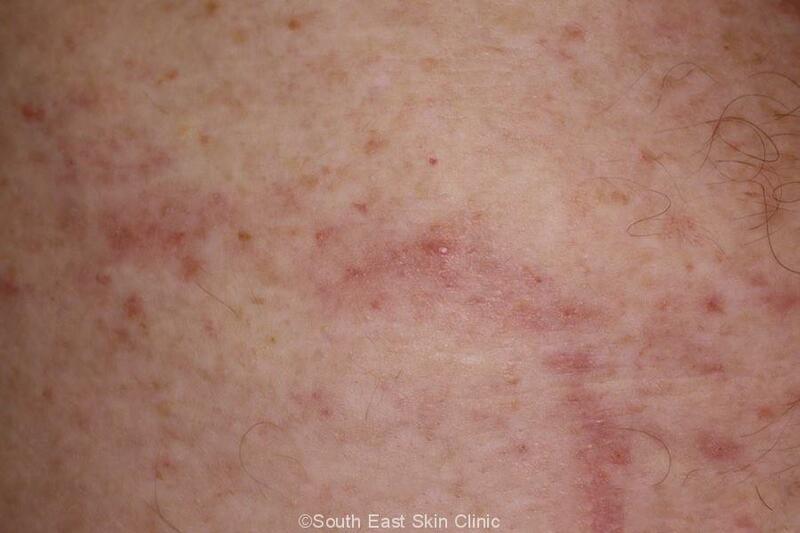 Cover any non-crusted lesions with a light dressing. Take extra care around people who are immunocompromised. 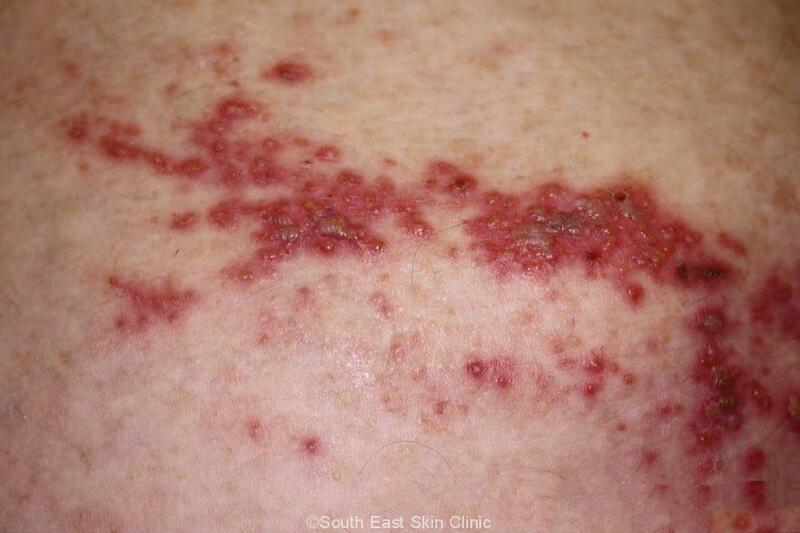 What treatment is available for acute shingles? Starting antiviral medication within 3 days will speed up the resolution of the rash. There has been debate about whether antiviral medication reduces the risk of developing PHP and probably it does not¹. The fact that PNP can cause real misery for people reflects in the myriad of treatment options that are available. The following table summarises the main treatment options ². It does occur in kids. The pain may start a few days before the rash comes out – indeed, this occurs in around half of cases with pain up to 7 days before the rash appears. Shingles around the buttock may look like cold sores caused by the herpes virus. A viral swab will give the diagnosis. Shingles near the eye can be dangerous. Antiviral medicaion only works if started within 3 days of the onset of the rash. Don’t be frightened of taking medication for postherpetic neuralgia – many people with PHP shy away from medication. Whilst understandable, remember that it can take several weeks for medication to work. In addition, persistent untreated pain often leads to depression. Shingles is confined to one area of the body in most people. However, severely immunocompromised people can develop severe disease that spreads to various organs. Shingles can infect the ear canal and cause facial weakness with some loss of taste (Ramsay Hunt Syndrome). 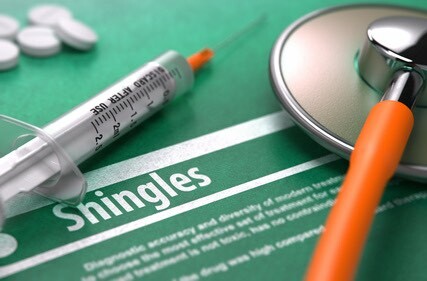 A shingles vaccine has been around for a number of years. The one-dose vaccine is licensed over the age of 50 years. National Australian guidelines recommend the vaccine in people over 60 years. In this age group, the vaccine is estimated to halve the rate of shingles, and to reduce the number of cases of PHP by 60%. The live vaccine is relatively expensive and cost has so far been the major barrier to uptake. Public funding for shingles vaccination of people age 70 to 79 years started in Australia from 1/11/2016. You may have noticed that The Australian immunisation handbook (>500 pages of it) recommends the shingles vaccine in all adults over 60 years, but government funding is for adults 70 to 79. There will always be a difference between optimal recommendations and funded recommendations. Other publicly funded systems such as The UK’s NHS are also funding it for those age 70 to 79. This age group is the sweet-spot for the shingles vaccine – shingles is common and the vaccine is effective. People age 60-69 may decide to fund the vaccine themselves. Current prices of ®Zostavax are a little over $200. The vaccine “lasts” around 5 to 10 years. Mild injection site pain or redness occurs in half of people who have the vaccine. Should someone with previous shingles be vaccinated? Definitely – yes. Shingles can re-occur with some studies suggesting the risk and severity of shingles may be comparable to the risk in people without a history of shingles. 1: Chen N, Li Q, Yang J, Zhou M, Zhou D, He L. Antiviral treatment for preventing postherpetic neuralgia. Cochrane Database Syst Rev 2014. 2: Robert W. Johnson, M.B., B.S., M.D., and Andrew S.C. Rice Postherpetic Neuralgia New Engl J Med 2014;371:1526-33.